Green design principles can create a conducive child care centre that helps children heal from trauma. 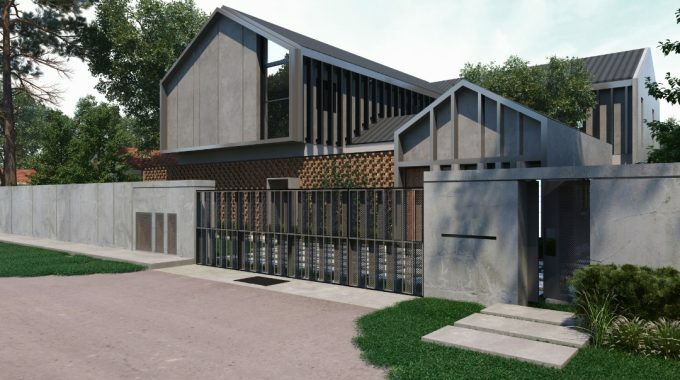 This is the vision behind the Women’s Aid Organisation’s (WAO) new child care centre, which will be the first green child care centre in Malaysia. “Our goal is to design a loving and nurturing home for children, one that wouldn’t feel like a shelter or crisis centre,” said Teo Chui Ping, the Advisor of the Real Estate Housing Developers’ Association Youth Malaysia (REHDA Youth) and the Director of GreenRE, during the groundbreaking ceremony of the child care centre today. The rebuilding of WAO’s child care centre, which was previously destroyed in a fire in 2016, is a corporate social responsibility project by REHDA Youth, in collaboration with various partners. The centre will be home to over 20 children, many of whom have witnessed or experienced domestic violence. Teo also explained how green features can enhance the sustainability of the centre’s operations, thus ensuring continual support for child domestic violence survivors. The centre will be the first Platinum-certified child care centre in Malaysia by GreenRE, the leading Malaysian green real estate certification body. In designing the centre, the design team at VERITAS sought to create a safe space for child survivors to learn, play, and simply be children. “Anyone who has suffered neglect or trauma requires a safe and empowering environment to recover and grow,” said David M. Hashim, who is the President of the VERITAS Design Group, which provided their professional services pro bono. Ultimately, a nurturing home environment provides children with stability, which supports their healing and development, said Carol Chin, the President of WAO. “In domestic violence situations, a child’s entire world descends into chaos. The child loses a sense of structure, which is needed for psychosocial development,” Chin explained. The rebuilding of the WAO child care centre is expected to be completed in one year. The WAO child care centre is still in need of sponsors for glazing, steel bars, pipes, and plumbing, electrical, and wet works services. If you would like to support the project, kindly contact REHDA Youth at secretariat@rehdayouth.com.